We finally get to share the documentary that Anzia, our ten-year old daughter, and her friend Indie made. 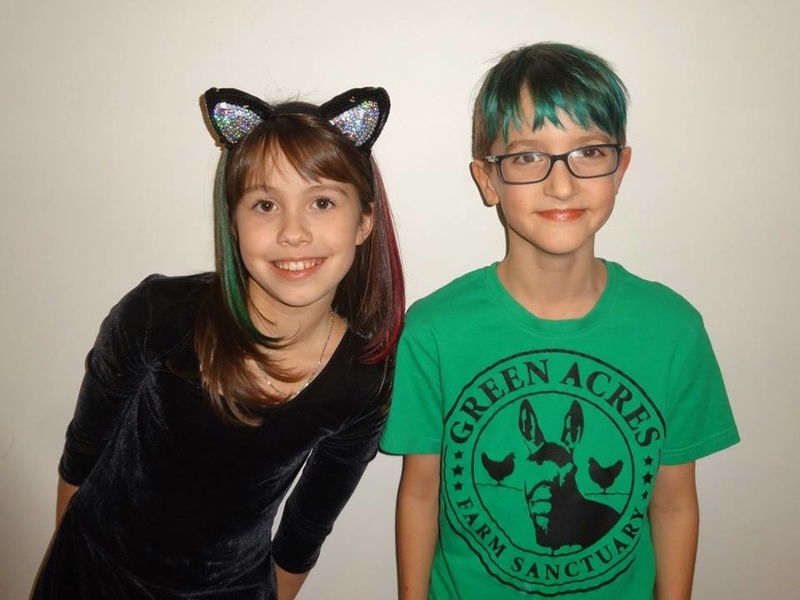 Two young vegan kids who wanted to help a local vegan owned sanctuary, Green Acres Farm Sanctuary. I would like to give a special thanks to Indie Morton who approached Anzia about collaborating on the film. The two of them met during summer camp at the local public access television station, CCTV in Salem, Oregon. Also many thanks to Christy Richards, Indie’s mom, who put many hours into helping Indie edit the film. Also a shout out to my hubby, Phillip, who helped run the camera. They had their premier party earlier this week and raised just shy of $200 for Green Acres Farm Sanctuary by raffling off gifts from Vtopian Cheese, Herbivore Clothing, and Trader Joe’s. If you are interested in helping their cause you may donate here. Or maybe buy something in their store here. This entry was posted in video and tagged farm sanctuaries, kid producers, Vegan documentary, vegan kids. Bookmark the permalink.